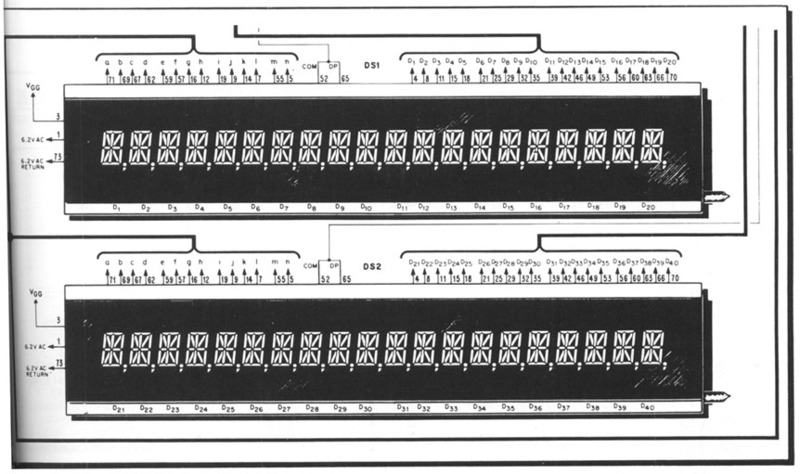 Score display assembly used in some Gottlieb System 80B pinball games. 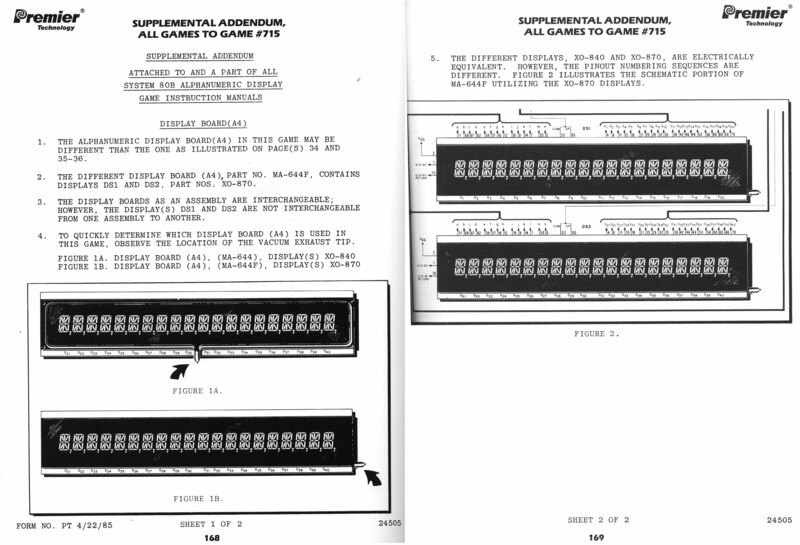 Uses two 20-digit blue alpha-numeric display tubes (Gottlieb part # XO-870) with vacuum exhaust tip at bottom right corner of each tube (see game manual supplement image below). Interchangeable with display assembly # MA-644.